Here’s an alphabetical list of all the joints where I took down a NY Strip, along with a link to the full review. Scores are out of 10 for the flavor of the strip loin specifically. Keep in mind that if a place advertised their steak as simply a “sirloin” rather than a NY Strip or a strip loin, then it will be featured under the “Other Cuts & Preparations” category. The strip loin is a much more tender part of the animal than the sirloin, which is further in the back of the animal near the leg muscles. That’s not to knock the sirloin by any means. Some joints bang out sirloins that put some of these NY Strips to shame. You’d be surprised. 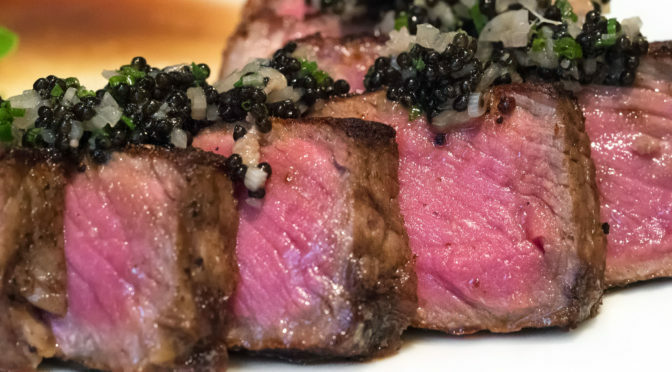 If you’re looking for anatomical information about the NY Strip, then you need to go HERE for a general overview, or HERE for more specifics.